End of season showcase at the Lacey Spring Fun Fair! For those who are just beginning, to those who have been training for less than one year. This class will learn steps and technique from select Ballroom, Latin, and social dance styles. A few examples include Cha Cha, Samba, Waltz, Foxtrot, and Swing! 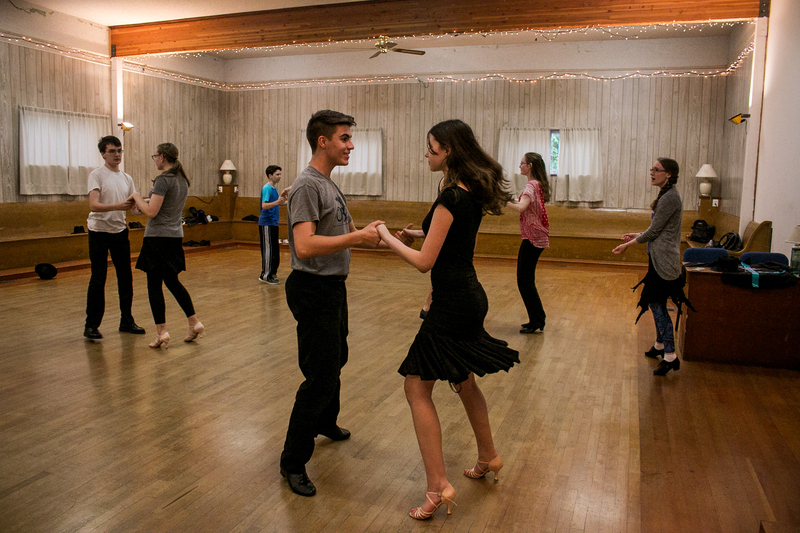 A fun, no-stress introduction to the many different varieties of ballroom dancing, as you learn to dance with a partner and move around the floor! This class will finish the session with some performance experience as we showcase some of our class routines at the Lacey Spring Fun Fair. Did you know that ballroom dance is also a competitive sport? The routines learned in this class can be used to compete at local DanceSport competitions! In class, we will learn about competing and how to get started–there are entry categories for beginners! This class is suitable for those who have been training in International style ballroom dance for at least one year (instructor approval is required to enroll). A wider variety of steps and styles will be taught in an effort to complete Bronze level training and prepare for Silver. Students will showcase some of their class routines at the Lacey Spring Fun Fair. 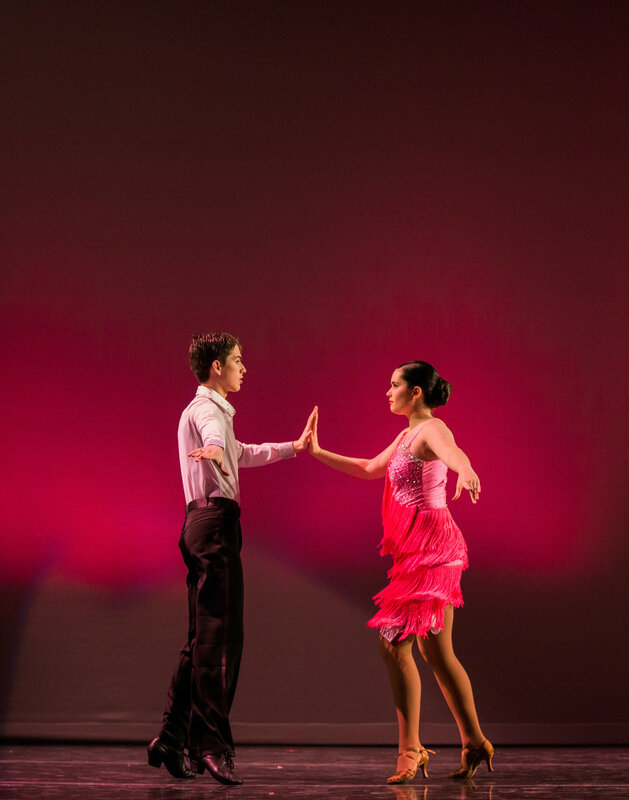 Routines learned in this class can be used to compete at local DanceSport competitions! Students in this class are encouraged to be competing and class time will be given for competition preparation. Session 2: April 11 to May 23; includes performance at Lacey Fun Fair! A new program for Pre-teens to join in on the fun of ballroom dancing! These 45 minute classes will focus on learning a short routine chosen from either ballroom, Latin, or social dance styles. We’ll slowly introduce the concept of dancing with a partner, while having fun exploring the basics of technique, movement, and stylization! Throw in some games and new friends, and it’ll be a great time! Session 1 dancers will have an in-studio showcase on the last day, March 28, to perform what they’ve learned to parents and family members! Session 2 dancers will have the opportunity to perform with our studio at the Lacey Fun Fair on May 18! $95 per month (8 months), plus $110 costume fee ($55 due in June 2018 after auditions; remaining $55 due with February 2019 tuition). AUDITIONS for our next season of team (Fall 2019 – Spring 2020) will be held in June! More information about auditions and our next season of team will be posted here when available. Our youth formation team is for those who are interested in an engaging performance opportunity. We are looking for teens that can be dedicated to achieving a high level of success as a team, and have the ambition to consistently improve. Dancers with all levels of experience, including beginners, are welcome to audition! During your experience on team, you will learn exciting routines, tricks, and work hard together to synchronize formations. The team will have fantastic local performance opportunities–in theaters, high schools, and festivals/fairs! Also the team will travel to the Portland Open DanceSport Competition in May! Rehearsals are held twice a week, for 1.5 hours each. Team dancers are also encouraged to enroll in a class, but not required. All team dancers will need to obtain proper dance attire and footwear for ballroom dancing. Dancers selected for the team at auditions must accept their team position within the week by returning a signed Team Contract and by registering for the team in our online system. At time of registration, $55 of the team costume fee will be collected (non-refundable; the remaining $55 is due with February tuition). $55 per month (8 months), plus $50 costume fee ($25 due at time of registration; remaining $25 due with February 2019 tuition). New starting Fall of 2018, OBD is offering a great opportunity for those wanting a more simple, low-stress and recreational team experience! A good introduction to dancing on a formation team, this can also prepare dancers to audition for our full performance level team. No auditions required, simply sign up and come have a great time making new friends and learning some fun and easy routines! The team will also participate in several local performance opportunities to show off what you learn! The Beginning Team will rehearse one day per week for 1.5 hours, and participate in about 3-4 local performances over the course of the 2018-19 season. Enrolling in a class is encouraged for team members, but not required.